Yes, small can still be safe. Imagine! 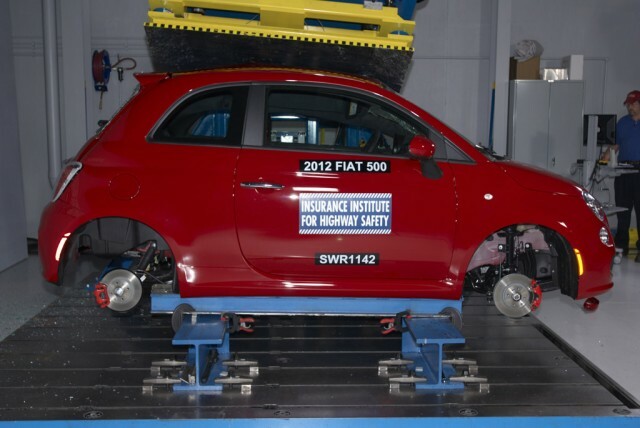 The diminutive 2012 Fiat 500 minicar was deemed a Top Safety Pick by the influential Insurance Institute for Highway Safety (IIHS). In recent years, the crash-test results and ratings from the IIHS have become as important to car buyers as those from the National Highway Traffic Safety Administration (NHTSA). 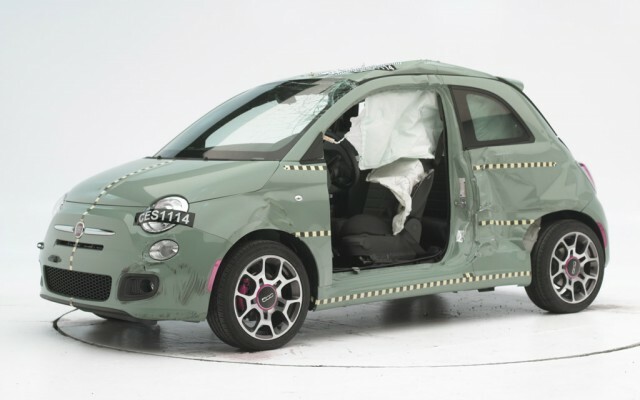 There's one asterisk to the designation: It applies only to Fiat 500s built after July of this year, which received modifications to the driver's seat structure to provide better protection in both frontal and rear crashes. It's still relatively rare for subcompact or smaller cars to earn the coveted Top Safety Pick designation, though the 2011 Ford Fiesta managed it as well. According to the IIHS, the award requires a car to earn the highest ratings--known simply as "good"--in front, side, rear, and rollover tests. Winners must also include a standard electronic stability control system, although as of this past September, that's now a Federal requirement anyway. The front crashworthiness evaluation uses a 40-mph offset crash, and TV viewers by now will be familiar with slow-motion video clips showing the effects on the test dummies belted into the seats. The side evaluation slams a barrier into the test car at 31 mph, similar to an intersection crash where a driver runs a red light. The rear protection is evaluated by hitting the stationary vehicle at 20 mph, and the roof crush test provides good scores if the test car withstands four times its own weight--similar to a violent rollover, and a higher multiple than the current Federal safety standard.